Experiencing migraine attacks is truly painful and stressful. You can feel your head is going to explode and that you are going to vomit soon. Migraine attacks can undoubtedly ruin your day. No matter who you are, it disables you from accomplishing anything. While it is true that migraine attacks won’t kill you and is not life-threatening, but the torture of enduring the pain is just unbelievable. Fortunately, we now have different drugs that can help us combat a migraine. According to research, more than 40 million of individuals in the US suffer from migraines. That is why there has been a lot of studies conducted in order to search for the best cure for a migraine. The most painful part of a migraine is that it can last up to 3 days – 72 hours! It is going to be very difficult to finish your tasks if you have a migraine. You feel like your body is betraying you and you lose focus in whatever you are doing. A migraine can be triggered if you are feeling stress. It can be depression, anxiety, or even physical stress. It can also happen if your sleep pattern is disturbed. Change of diet or change of environment can also trigger a migraine. Being unhealthy can cause a migraine as well. That is why it is very important that you remain healthy if you truly want to avoid triggering your migraine. A lot of drugs has been created or formulated in order to relieve pain from migraines. However, some of these drugs are not good for your body. Some drugs or medications out there are just too strong for your system. That is why you have to be very careful when selecting a drug or medication that can get rid of your migraines. Doing research is vital before you start taking a certain medicine for your migraine. It is best that you find those drugs that are safe and at the same time very effective. The good news is, you can use marijuana to cure a migraine. Marijuana offers many great benefits and is known for its anti-pain properties. It’s been proven that marijuana is indeed an amazing pain reliever. There are more than a thousand of marijuana strains that you can find on the market today and some of them are perfect for migraines. It is essential that you familiarize yourself with the different marijuana strains that are available today. Some of these strains can immediately get rid of your migraine pains. But because of the number of marijuana strains or varieties out there, choosing the one that can act as a pain reliever for your migraine can be overwhelming. 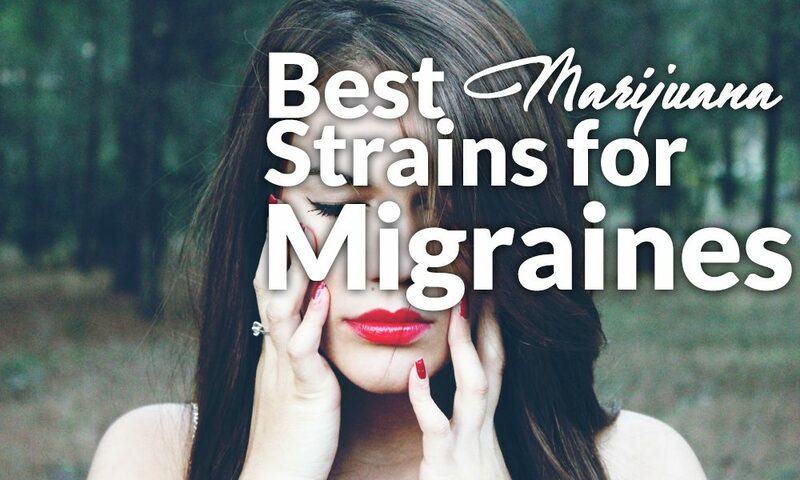 Fortunately, this article should be able to provide you guidelines on how to find the best marijuana strains for a migraine. ACDC – is for people who want to cure the pain brought about by migraines but does not want to get high. According to research, ACDC strain is excellent for getting rid of migraine pain since it has high levels of CBD. This strain is known for its anti-inflammatory property. This is an effective strain that does not only provide solution for migraine but is also excellent when it comes to fighting depression. Don’t expect any high from this strain since it has a significantly low levels of THC. OG Kush – This kind of marijuana strain is almost found in any local marijuana dispensaries. The reason why they are so abundant and why you can easily find them is because it has an amazing sedative effects. The sedative effects of OG Kush is matchless and this truly help you get rid of your migraines the soonest time. And because it has higher level of THC compared to ACDC, OG Kush will make you forget that you have a migraine. This marijuana strain will not only help you forget about your migraine problems, but this can also give you a blissful and happy feeling. Take OG Kush if you want to get rid of your migraine and at the same time want to be happy. White Widow – Another excellent marijuana strain for combating migraine is called White Widow. This is abundant in Europe and is known for its powerful pain-relieving properties. There are a lot of physicians today who are prescribing White Widow because of its effectivity as a pain reliever. Another reason why you want to take White Widow is because you want to feel more relaxed. Yes, White Widow can help your body and your system feel more relaxed. If you want to have a clearer head and improve your focus, then this is the strain that you want to consume. Purple Kush – is one of the best marijuana strain out there that can soothe whatever pain that you are feeling – including a migraine. Many weed users can attest how powerful the properties of this strain. It is great for curing arthritis pain, severe headaches, pain from cancer, and even migraine. Purple Kush can also give you that euphoric high which makes you forget whatever pain that you are feeling at the moment. Since it has an abundant THC content, you can expect to feel more relaxed and calm. Harlequin – This marijuana strain has an amazing pain-relieving properties that can make you feel thankful. This Harlequin strain contains a lot of CBD and so you can expect to experience a happy and chill mode. Migraine is can be very troublesome and can prevent you from accomplishing your tasks or assignments, but Harlequin can take the migraine pain away. If you want to do more and you want to forget about your migraine, then this is the best weed or marijuana strain for you. When buying a certain marijuana strain from a local dispensary, it is necessary that you check the quality of their products first. It is essential that their marijuana strains are indeed legit. Always check for reviews or ratings first before you order. Forget your migraine and start enjoying life – use the best marijuana strains for migraines out there!